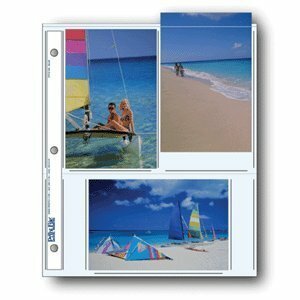 Printfile 466P100 Printfile Archival Photo Album Pages for 6 4 x 6 Prints 100 Sheets. Archival quality. NO PVC. Safe for long-term storage. High clarity 8 mil polypropylene. White data area for writing. Safe for long-term storage. PAT passed. Dimensions: 9 1/4"W x 10 15/16"H Qty. 100Pk.